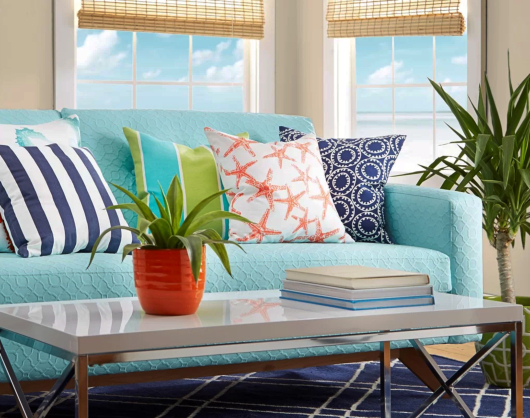 Take your cue from the blue sea and the sky above for your sofa color. 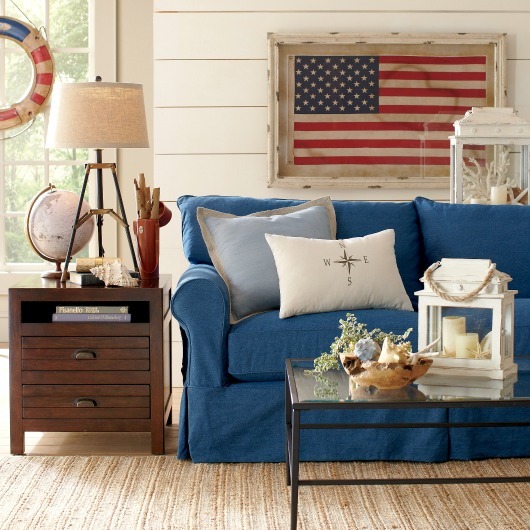 Here is a selection of coastal and nautical blue sofas. 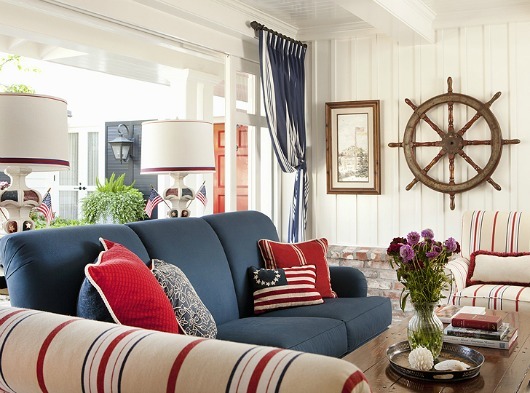 California Beach House via Houzz. 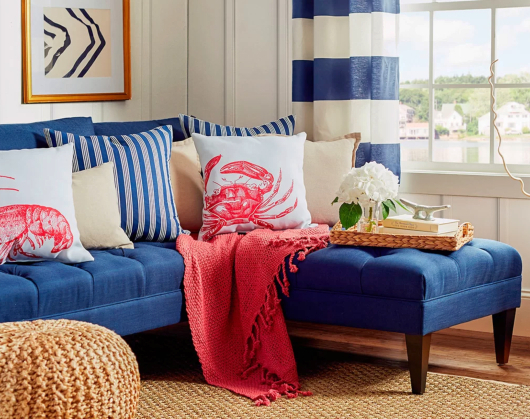 If you love the sea, ocean blues are part of your decor. 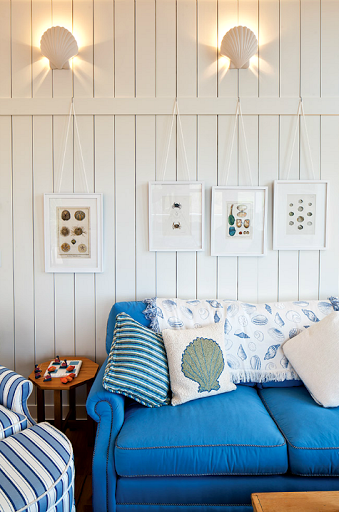 These ideas show how you can bring blue to your living room with a great sofa. From bright blue, to pastel blue, to navy blue. Living room design by Joss & Main. Coastal home by Group 3Designs. 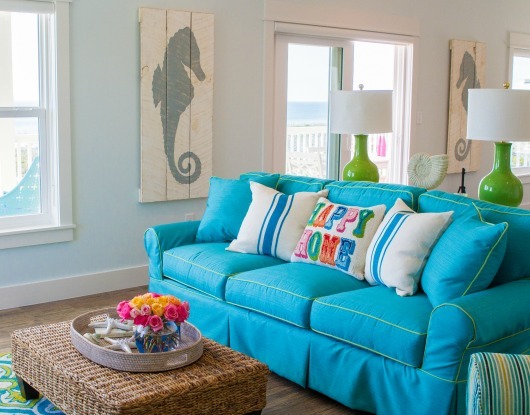 Casual cushy blue sofa in a Gulf Shore Home by CDC. Florida home by Wendy Patrick featured here. 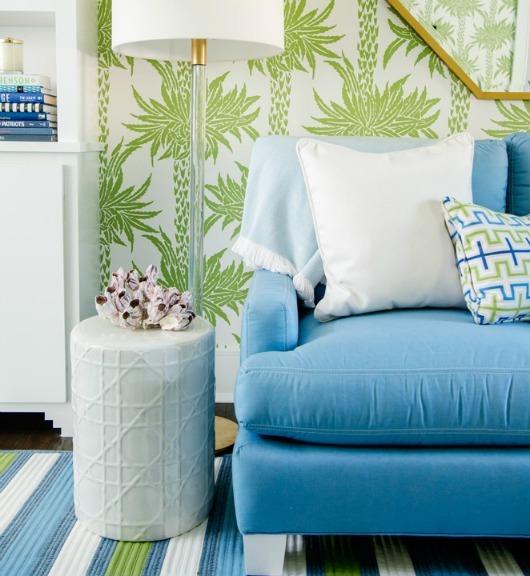 The piping introduces lime green to this blue sofa. 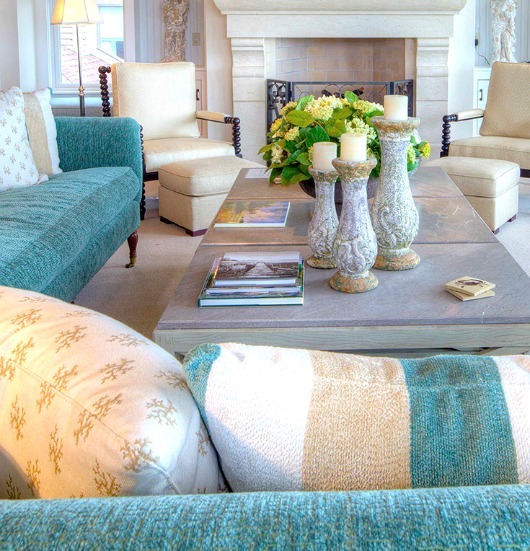 Hamptons Show House via Coastal Living. 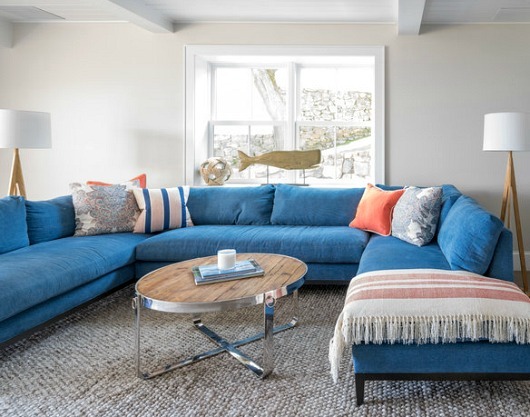 Living room with blue sofa by Molly Frey Design. 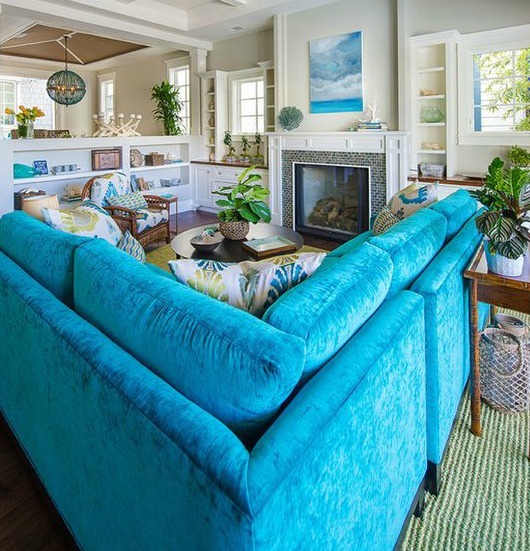 Blue sofa in a Coastal Cottage. 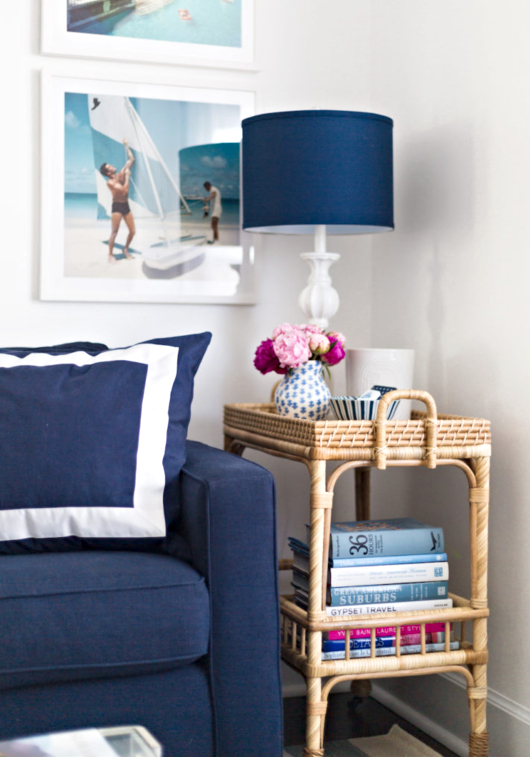 Pottery Barn's Cameron Sectional in Navy Blue seen at Design Darling. 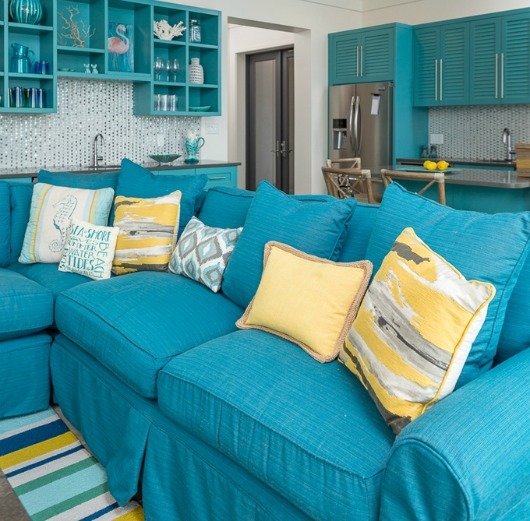 Most of their sofas come in a variety of color choices, including blue. Make sure to click on the More Options link to view all colors. La Jolla Beach Cottage by Warren Sheets Design. 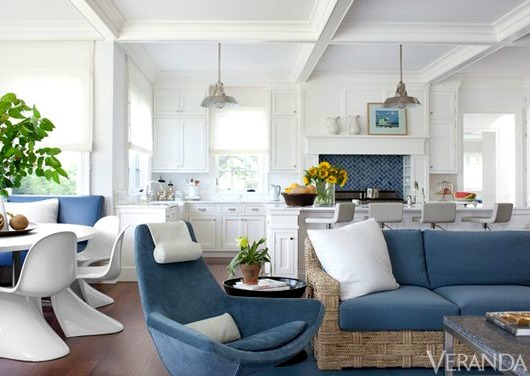 Bridgehampton Home by Vincent Wolf via Veranda. 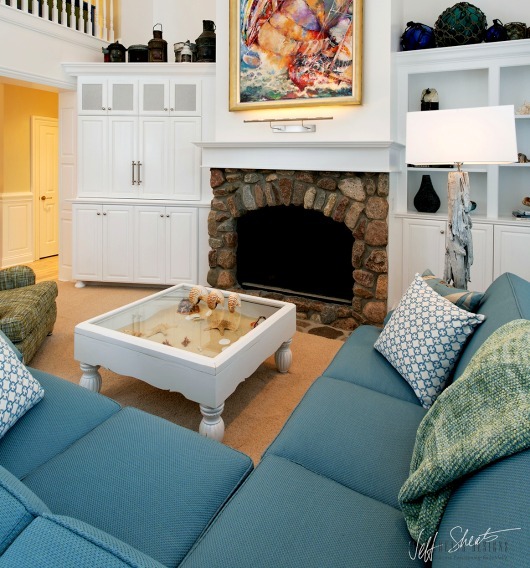 Nantucket Home by Jeff Sheats Designs.